The problem of the country’s education is not a knowledge gap but a skill gap. In the Technical University, we address both the knowledge and skill gap. 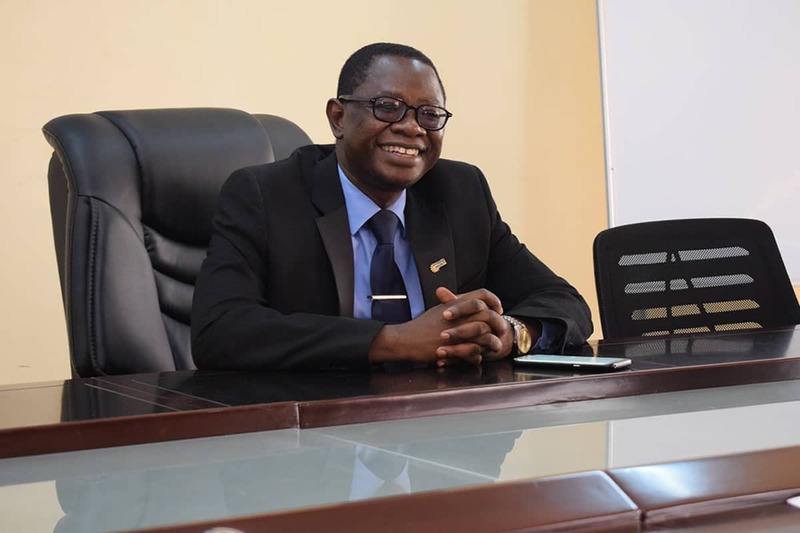 Pioneer Vice Chancellor of the Technical University, Ibadan, Oyo State, Prof. Ayobami Salami has given reason for the change in name to First Technical University, stressing that it was to reassert its place in history as the first of its kind in Nigeria. The renaming of the institution after amendment by the Oyo State House of Assembly has, however, be misconstrued in some quarter who argued that it will affect the current status of the university as a wholly public-owned institution. But the VC said it will not in anyway affect the current standard of the university. Prof Salami also explained the difference between the Technical University and other conventional universities; the relevance of the institution in addressing various societal malaises considering the uncommon programmes it is running to reposition the country’s economy and other sundry issues. What is the difference between the Technical University and other conventional universities? I have been asked this question several times and we have to keep explaining until the general public understands the main difference between us and other universities or polytechnics. Polytechnics are supposed to be centres where people are trained for skills such as technicians and technologists. Universities are supposed to be centres where managers are trained. They are supposed to work under managers while the university graduates are supposed to have less skills but theoretical and managerial abilities. But the Technical University is the place where you combine the two together. Here we have people with both skill and managerial abilities. Even we can interrogate that further; there are a lot of issues raised on products’ deficiency from polytechnics and even products from conventional universities as there are questions raised on whether they can live up to expectations of the society based on certificate they possess. I used to say that the problem of the country’s education is not a knowledge gap but a skill gap. But in the Technical University, we address the both the issue of knowledge and skill gap. Why is the university renamed as First Technical University? The established university was amended by the Oyo State House of Assembly based on proposal that was sent to it. We used to be called Technical University but now we inserted ‘first’ to become First Technical University, Ibadan. Let me explain reason behind that. By the grace of God, in the next 10 or 15 years, the university will be a model that many governments and private sectors will begin to replicate in several places. And therefore, from the word go, we need to reassert our position in history. Let me say historically that there are many technical universities in Africa such as Ghana, East Africa, South Africa but you can go and cross check, none of these started as a technical university. They started as polytechnics and later metamorphosed into technical universities, just like colleges of educations that were upgraded to degree awarding institutions. But in the whole of West Africa, we are the first university that was conceived, established and operated from the word go as a technical university. That is one aspect of the amendment to really assert our place in history. But aparts from that, the amendment allows the university to fully operate on Public Private Partnership (PPP) model, that is, we can now be the hybrid of the public and private sectors. This allows us to enter into robust collaboration with private sector in furtherance of our missions of the university to ensure the aim of the university. It is only when people want to play politics that they don’t say the truth. We all understand that education is a social responsibility but the reality on ground is that government has not been able to fund the university or tertiary education to the expected level. And there’s no free lunch in Freetown; the last time I visited Freetown, I paid for my lunch (laughter). If government is not ready to pay the full bill and we don’t want the parents to pay it, then there’s going to be deficiency on the part of the products. This is the reason we need to leverage on the opportunities available with the private sectors so that we will have capacity to do what is expected of us. From your explanation, the school is run on private orientation. Who really owns the university? Let me say now and clearly that the university is owned by the Oyo State government. But what the government is doing is to allow the private sector to complement its effort so that the burden will not rest squarely on the state due to limited resources. Due to the reality on ground and the Nigerian milieu, to realistically be able to generate and access resources needed for the full these missions, the government is now giving a window to the private sector to complement the effort but it is not a profit making means for them, though we have partners who can assist in areas like building hostels and this is one of the areas business partners can operate. But beyond that, we are looking forward to angel investors and these are people who give philanthropic gesture without profit and even don’t want their names to be mentioned. We also have legacy donors. They don’t also look for profit but wants to mortalise their names to show the world that they are part of the success of the university. Example is Dr. Tunde Afolabi who wants to have his institute in the university and that will cost over N1 billion. The institute will be named after his company but he is not expecting any profit. What are the courses you run and their relevance? Let me first say that before we commenced full academic activities, The National Universities Commission (NUC) decided to conduct resource verification to the university on July 14 to 17 last year. The aim was to access our facilities, human and material resources and know if we can actually deliver on what we promised. And by August 1, 2017, we were granted approval to run 15 programmes. Let me put it on records; when we applied to NUC, we actually applied for 14 programmes. When NUC came and saw what we have, both the human and other resources, they said we ought to have 15 programmes – Biomedical engineering; Food Science and Technology; Electrical and Electronic Engineering; Mechatronics Engineering; Mechanical Engineering; Microbiology; Industrial Chemistry; Physics with Electronics; Computer Science; Cyber Security; Software Engineering and Mathematics and Statistics. The relevance of the programmes is as follows starting with programmes that are not common in other conventional universities. Number one is Biomedical Engineering. In Nigeria today, University of Lagos, perhaps, is the only university with us that run the programme and we started the same time. Sophisticated medical equipment are used in our health industry today. The equipment are not manufactured in Nigeria but are imported. And when the equipment break down, we don’t have the personnel that can maintain or repair them. So, when they breakdown, we have to fly in experts from outside the country to either help maintain or repair them or look for money to buy another. But this programme in our university will fill the skill gap in the country. I don’t know of any university in Nigeria today running Cyber Security, though I stand to be corrected. We keep on saying that this is a digital age where we are moving to e-governance, e-security, e-banking and so on. And one of the issues that go with these is the issue of cyber crime. By global ranking, Nigeria is Number three in the world with cybercrime after US and the UK. But we don’t have people who are trained and skilled in fighting cybercrime. So, this university is filling the skill gap to train set of people that can actually make sure that they mitigate this issue of cybercrime in Nigeria. We also have software Engineering. If you’re a software engineer, you don’t need to look for job or big building to operate. All you need is your Laptop and internet connectivity. You can write programmes and make huge money from it. A good software engineer looks at problems people are having, write programme on it and make your money. Only FUTA and ours run this course. The way we train our students is different from ways conventional universities train them. The graduates from this university are products of both the university and the industry which combine the skills and theoretical knowledge. On this note, we have signed MoU with the National Society of Engineers and private sectors to reserve spaces for our students for industrial exposure where facilities for their trainings are available. I have worked in the conventional university for 30 years before coming here as a pioneer VC. There is what is called SIWES in conventional universities. It is more or less to fulfil all righteousness because the students don’t have appropriate place to do their industrial trainings. We are not doing ours that way. We secure places for them where facilities are available for their trainings. Also, all the students must be able to submit a final year project before he or she graduates and the project must be able to practically solve a societal problem because their projects are their products. And that’s why we collaborate with industries. The industries will tell us their challenges and is this challenge the students will write project on. The students that graduated from this university are not just certificate wielding graduates. From here, they go to school of entrepreneurship and vocational studies. In the school, they will enrol for at least two major vocations of their choice related to their training. The students will go through that training for three years and will be certificated in those two vocations and in third year, they will be asked to write business proposals on those vocations and bank of industry is partnering with us to sponsor some of those projects so that when the students are in the university, they can begin to have these projects executed and we monitor them. And let me say that we planned it for third year but it has started happening in the first year. The World Bank has approached us to work with us after they have seen relevance of our activities. They have set up a bootcamp in the university where students with best idea is supported with fund.